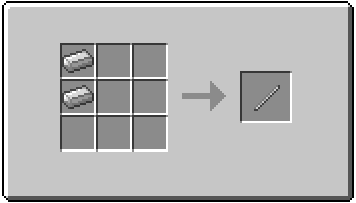 Wouldn’t it be nice to carry around and compactly store large quantities of items safely wherever you go in Minecraft? Don’t you agree? If you do, keep reading. Who knew bashing together two iron ingots would prove so useful? By this delicate procedure you have managed to invent a rod sturdy enough to span dimensions. 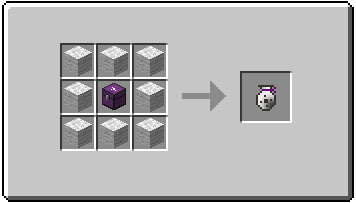 By focusing the power of an ender pearl through a glass and golden casing, you can now lock Extradimensional Chests for an added security! 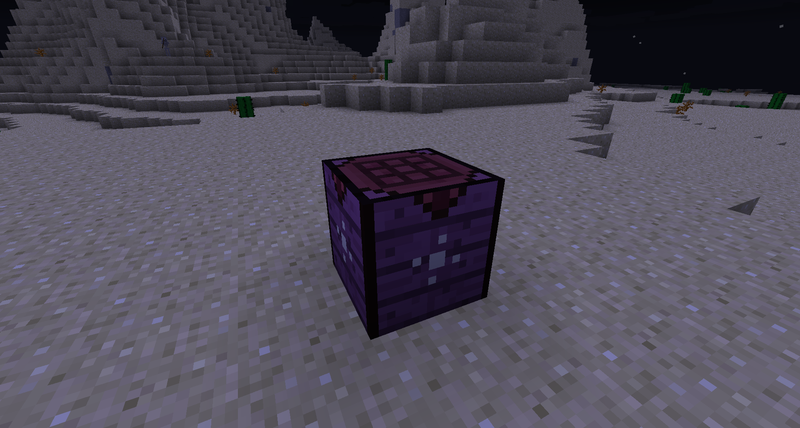 Apparantly rolling a diamond in some glowstone dust makes it glow. Don’t worry, its safe. I think. The radiation might be a problem though. Strapping a glowing diamond and an Extradimensional focus onto an Iron Rod you discover a method to link dimensions for advanced storage. 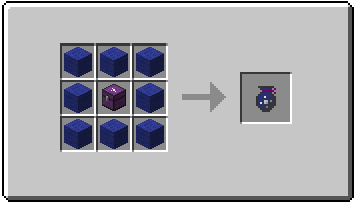 Taping some gllowing diamonds to an Extradimensional Focus and wrapping the whole thing in purple wool seems to create an excellent method for carrying a large number of Item Savers while keeping precious hotbar space free. It seems these capsules operate on the same principle as the Item Savers themselves wherein the contents are always safe. 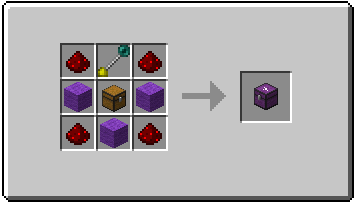 Fitting an Extradimensional Link to a chest, some wool and redstone, you have managed to successfully connect to other dimensions in which you may store your items! 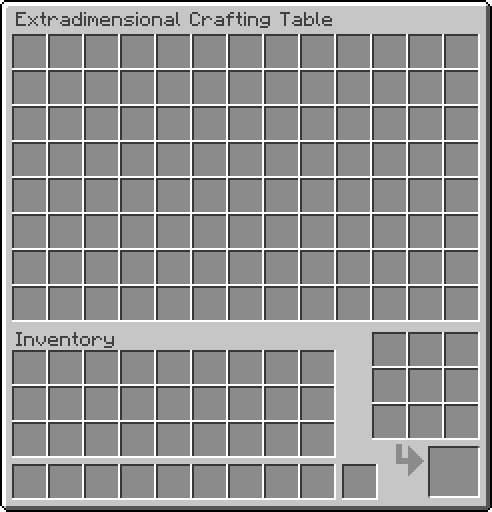 This new chest stores a rather generous 104 item stacks (13 columns x 8 rows) and a bonus super cool functionality! Hint: try putting things into the extra slot! 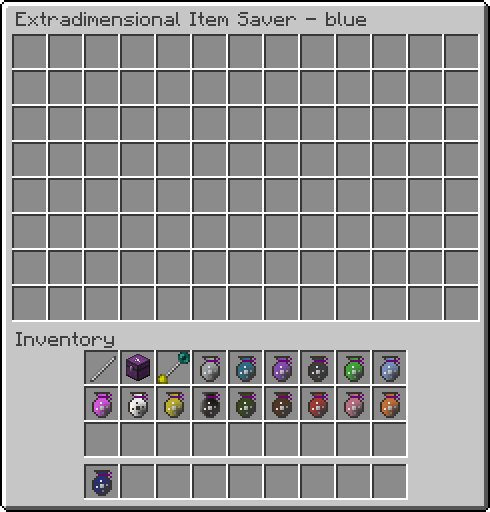 Please note that an Extradimensional Item Saver can be crafted using any colour of wool. The colour of wool chosen corresponds to the Item Saver you recieve! This thing is awesome! 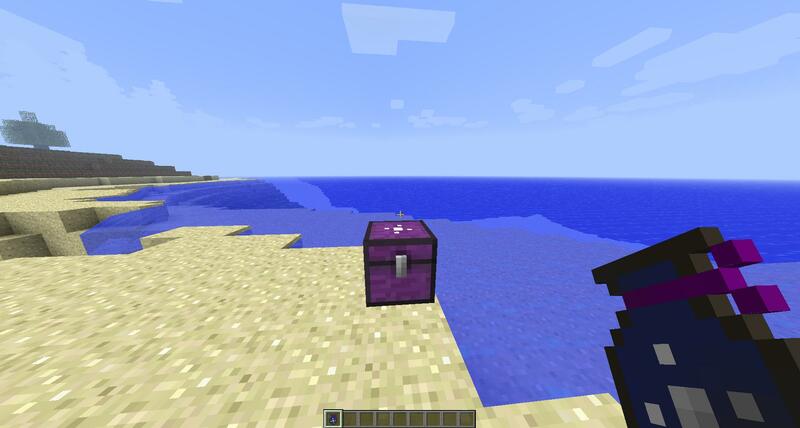 It will allow you to carry 104 item stacks wherever you go! But the awesome doesn’t stop there, no sir. 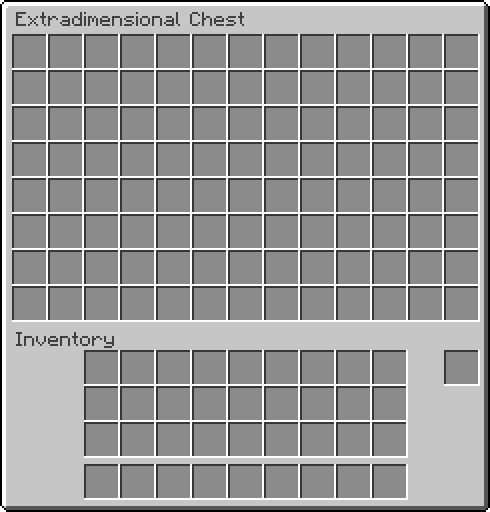 Don’t forget to try using this in different places in the Extradimensional Chest! 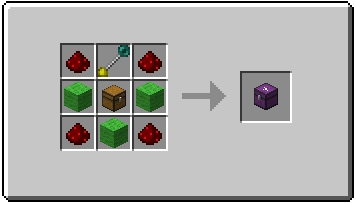 This awesome block allows you to craft, store things, craft some more, then store more things! Who doesn’t love that!